Lindt chocolate is a creamy and rich and delicious chocolate and it is one my favourite blocks of chocolate to eat. I love dark chocolate with a touch of sea salt for its rich chocolate flavour with the hint of saltiness. Lindt Excellence dark chocolate with sea salt is another great chocolate we love to buy,dark chocolate is a favourite and l love the addition of sea salt. I would like to think adding sea salt is just a gimmick and it may fade away over time. Not our favorite, the chilli and chocolate on the other hand are more acceptable. I don’t mind Lindt although it is not my favourite. It is almost a dry chocolate so I would prefer it to go with something that is moist not a salt that will dry you out more. I can eat it but I wouldn’t buy it. I love Lindt chocolate, but I must say that the dark chocolate with a touch of sea salt is not for me. Others may like the combination, but I find it doesn’t go well together. 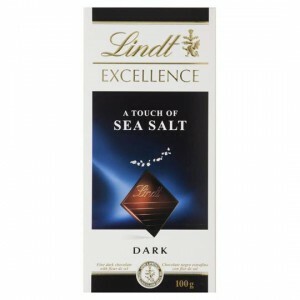 How would you rate Lindt Excellence Dark Chocolate A Touch Of Sea Salt?